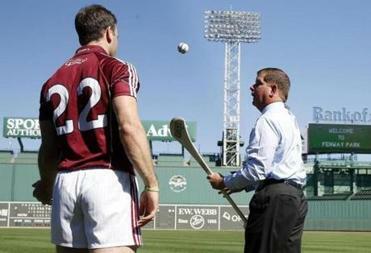 Hurling teams from Galway and Dublin will play an exhibition at Fenway Park on Nov. 22. On Tuesday, Boston Mayor Martin J. Walsh announced that hurling will be played at Fenway Park this fall for the first time in 60 years. Teams from Dublin and Galway will play an exhibition on Nov. 22. 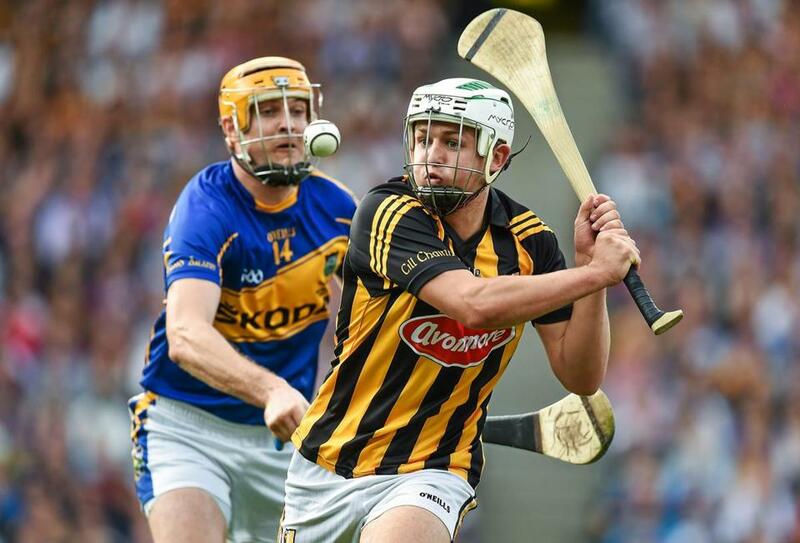 So, what exactly is hurling? According to the Gaelic Athletic Association, hurling, believed to be the world’s oldest field game, combines agility, strength and intensity to make it one of the fastest paced games played. 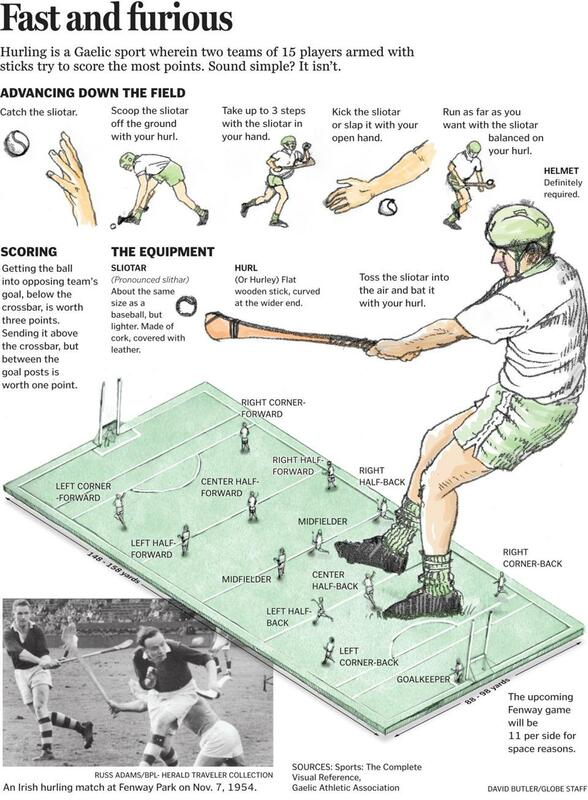 ■ Hurlers use a wooden stick called a hurley to hit a small ball called a sliotar (pronounced slitter) between the opponents’ goalposts – either over the crossbar (1 point) or under the crossbar into a net guarded by a goalkeeper (3 points). The Nov. 22 event will feature teams from Dublin and Galway, as well as a Dropkick Murphys show. ■ Both the hurley and sliotar are similar to the stick and ball used in field hockey. The hurley is shorter, with a broad oval blade that is curved. The sliotar has raised edges. ■ The goalposts look a lot like those used in rugby, with the crossbar lower than in rugby and slightly higher than a soccer goal. ■ The field, or “pitch”, can be up to 145 yards long and 90 yard wide. ■ Each team is made up of 15 players. At Fenway, the two teams will play a modified version of hurling called “Super 11s” which uses teams of 11 players and the only way to score is under the crossbar into the net. ■ The ball can be hit on the ground or in the air. ■ Unlike field hockey, the ball can be picked up and balanced on the hurley and carried for four steps in the hand. After those steps the ball may be bounced on the hurley and back to the hand, but cannot be caught more than twice. To get around this, one of the skills is running with the ball balanced on the hurley, similar to lacrosse. Tickets for the AIG Fenway Hurling Classic and Irish Festival go on-sale on Thursday at noon. The event will also be streamed live for hurling fans globally on www.redsox.com/irishfestival.